Sikiric, M.D, Schuermann, A, & Vallentin, F. (2007). 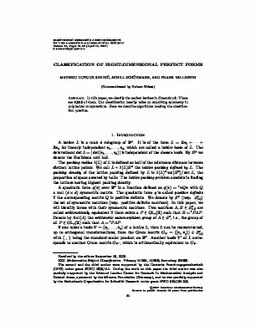 Classification of eight dimensional perfect forms. Electronic Research Announcements of the American Mathematical Society, 13, 21–32.